The mobbing of Dr Raj Mattu NHS in Coventry England. 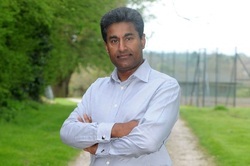 Dr Raj Mattu was mobbed by the University Hospitals of Coventry and Warwickshire NHS Trust for calling attention to low standards of care in the cardiac unit. Phill Shields, Stephen Layman, Ian Stone and others communicated to bully Dr Mattu and prevent him whistleblowing on the substandard care being given to patients. An employment tribunal recently ruled that Dr Mattu was unfairly suspended and dismissed in 2001. Dr Mattu is seeking 6.5 million Pounds in damages.